Looking to stock up on beverages for FXX's 12-day, 25-season Simpsons marathon? Simpsons wine would do the trick—if only it were real. Russian designers Constantin Bolimond and Dmitry Patsukevich did some fun concept packaging for what wine might look like if it were inspired by the famed cartoon series. 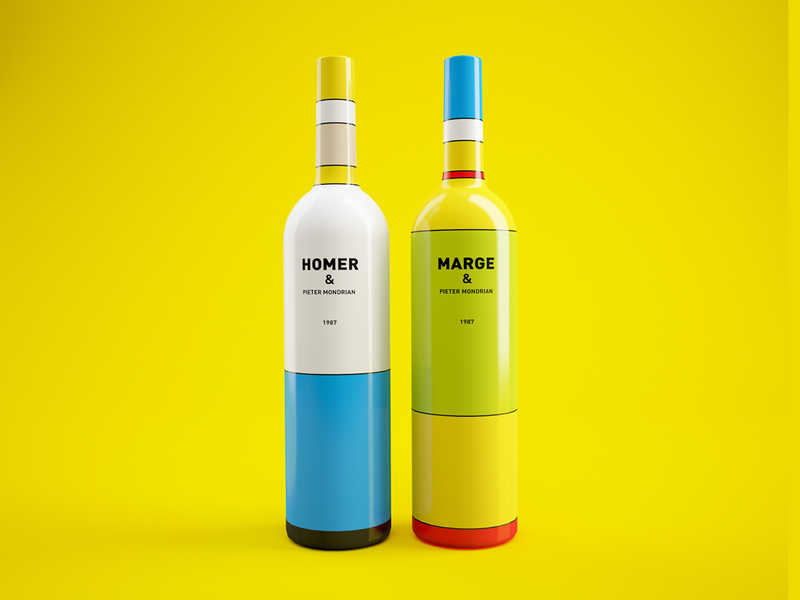 The bottle colors are pure Homer and Marge, with the geometric shapes inspired by the works of Dutch painter Piet Mondrian. There's more to the concept, though it's hard to pick apart. "Maybe it is wine, maybe not. We are inviting you to find out yourselves," the designers say. Whatever it is, it has to be better than Duff beer. More images below. Via PSFK.